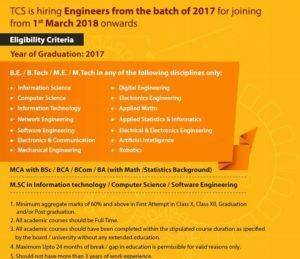 An amazing news for fresh graduates passed out recently. 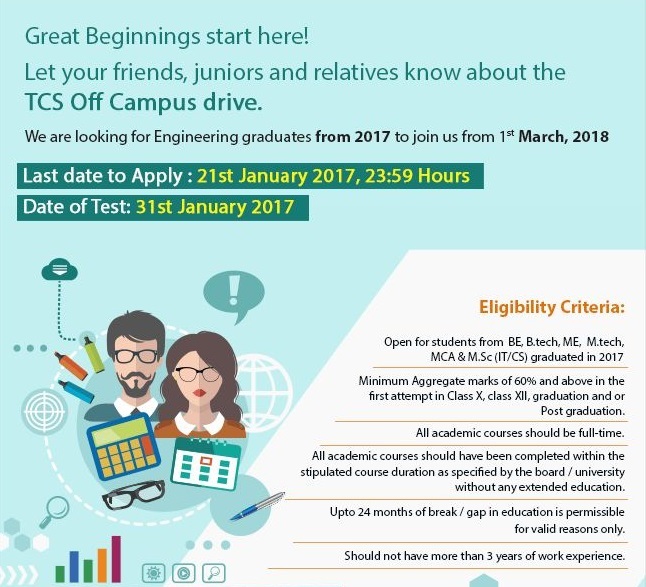 Most of us have already got the message circulated in Whatsapp or Portals on FRESHERS openings at TCS. *Refer the image above/below for more details. Most of the candidates who are aware of the information have received information from above or below-mentioned images. The images give detailed information about the openings and all the other terms and conditions. Many of the candidates were having a tough time either because the URL was not functioning or they were not sure about ‘How to apply’ for this openings. So, we came up with this post to help out with steps to apply for this openings. Click on ‘REGISTER NOW’. On click of register now you will see the below screenshot. Click on IT/BPS based on your preferences. Assuming you are interested in IT, click on the same. You will be redirected to a registration page as shown below where you need to fill the basic details. Once you have successfully filled all details, click on Submit. 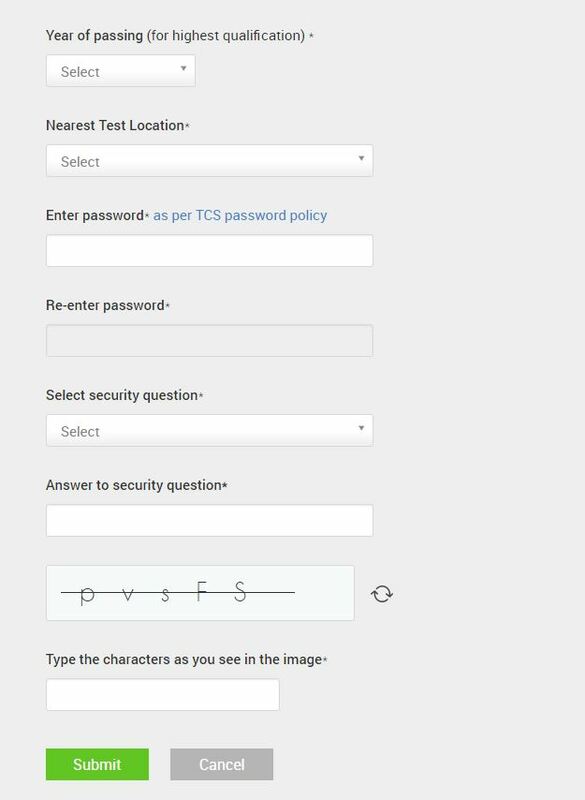 On click of Submit button and successful submission, you will get below-displayed screenshot. Congratulations, you have successfully registered in the portal but this is not it. You have just registered but you still need to apply for the job openings they have mentioned about. 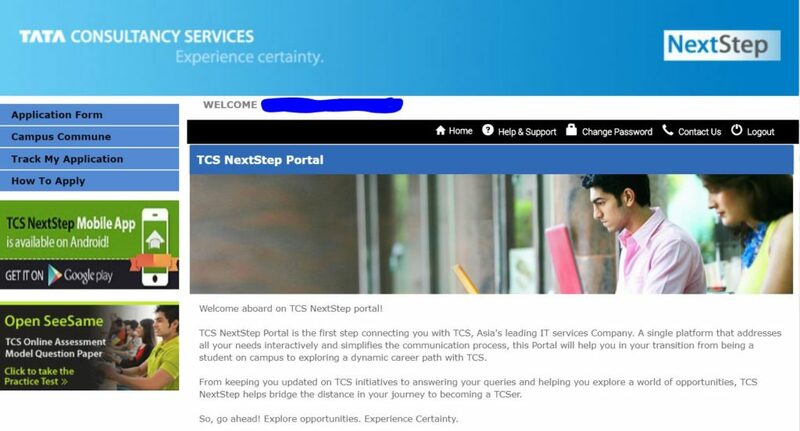 To log in directly, you can click on https://nextstep.tcs.com/campus/. Do remember the email id and password. This is needed to login later on. 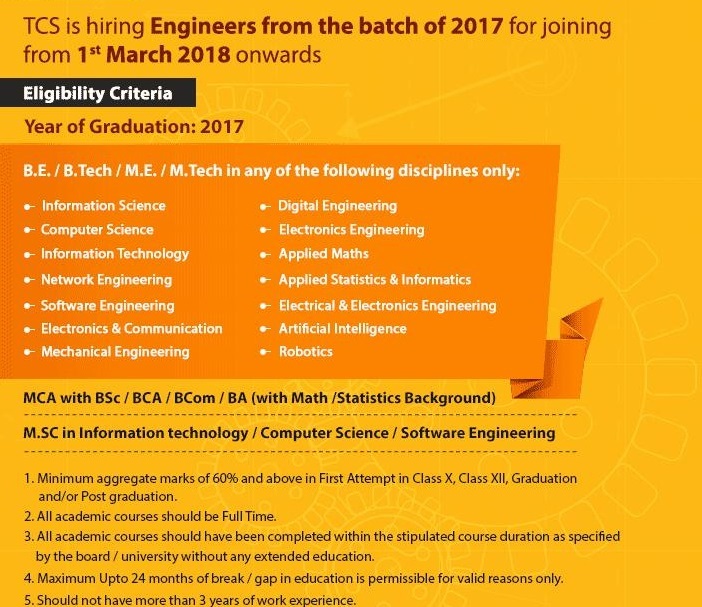 How to apply for the Job Openings for freshers at TCS. Once you have registered successfully, you will be redirected to the homepage or login yourself with this link. You must be able to see a screen as displayed below. You will be able to see Welcome along with the name and reference id (Marked out in above screenshot). Also, in the menu item, you will see log out option. This confirms that you have logged in. Important step: On the left side, there is an option ‘Application Form’. Click on the Application form. On click, you will see all the instructions. Please read all instructions carefully and scroll down. Click on the button ‘Start Filling the Form‘ and start filling out all the details including academic marks, certificates and of course resume. Read our article to avoid mistakes in the fresher resume. There are four pages/sections. After filling each page/section, click on ‘Save and Continue’. 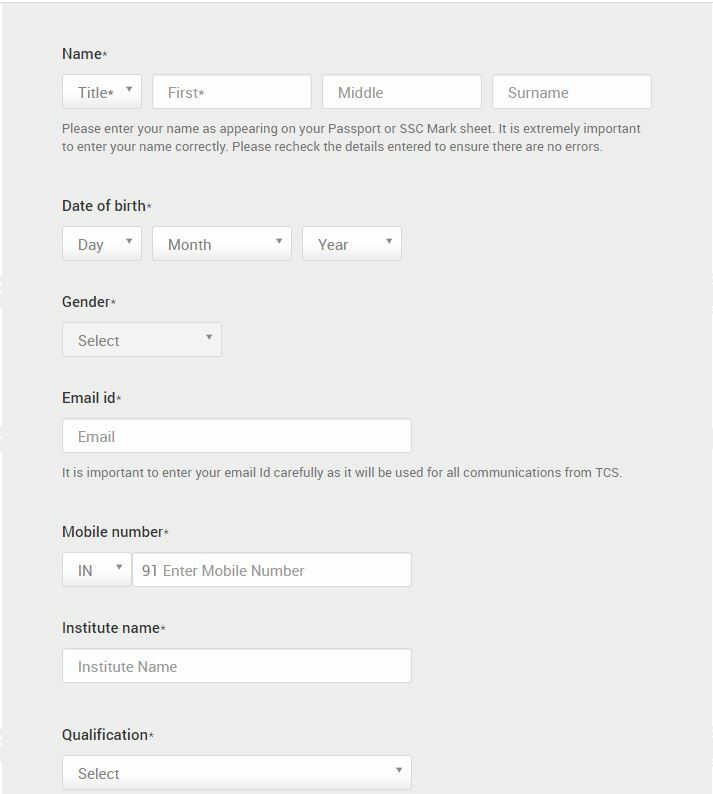 Finally, at the end of the fourth page, you will see a button named, ‘Submit Application Form’ as shown below. Click on it to complete submission. You have now successfully applied for the fresher’s openings at TCS. You can also check other items in the left side menu of the home page for information to track your application etc. 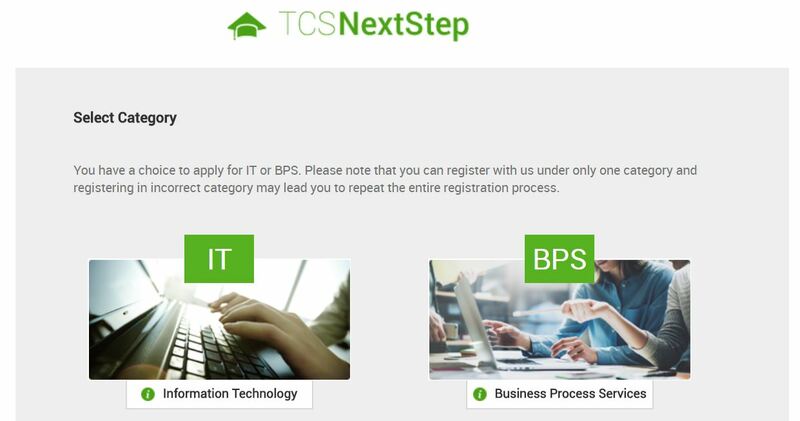 Check your email if you have received any notification from TCS. You must receive one which will have all the details about further steps. At any step, if you find difficulty you can reach their support team via [email protected]. All the very best for the candidates.